Quite a lot of this isn't done, as usual with this site. Things are changing though, so watch this space. 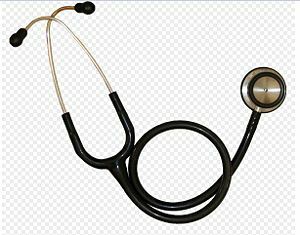 This is a stethoscope, generally used for auscultation and digital rectal examination, vaginal examination and tiddlywinks. The basics of examination are almost always the same. They involve doing things in a very particular but actually quite logical order. The videos for these examinations were provided by Arthritis Research Campaign. The big one you need to know is GALS which stands for Gait, Arms, Legs and Spine. These aren't psychical exams, but are vital in assessing a patient's mental well being. You are most likely to encounter them with confused patients, especially on the geriatric wards, and on psychiatric placements. There are two key ones, the Mental State Examination and the Cognitive State Examination. This page was last modified on 2 October 2012, at 13:31.